They found that during the disease, cells called astrocytes become toxic to nerve cells — a result previously found in animal models but not in humans. The new model could be used to investigate many more questions about ALS, also known as Lou Gehrig’s disease. ALS can run in families, but in the majority of cases, it is sporadic, with no known cause. The researchers derived astrocytes from patients who had succumbed to either type of ALS, and found that the cells secrete toxic factors that cause nerve cells to degenerate. A similar mechanism has been found in mouse models of ALS. “The mouse models capture a type of familial ALS that accounts for only 2 percent of all cases. The field has begged for new disease models that can provide a clear window into sporadic ALS,” said senior author Brian Kaspar, Ph.D., an investigator at the Nationwide Children’s Research Institute (NCRI) in Columbus, Ohio. His collaborators were Jerry Mendell, M.D., director of NCRI’s Center for Gene Therapy, and Arthur Burghes, Ph.D., a professor of molecular and cellular biochemistry at Ohio State University in Columbus. Drs. Kaspar and Mendell also hold faculty positions at Ohio State. The research is reported in Nature Biotechnology and was funded in part by NIH’s National Institute of Neurological Disorders and Stroke (NINDS), including a $1.7 million stimulus grant made possible by the American Recovery and Reinvestment Act. ALS is characterized by the death of motor neurons, which are muscle-controlling nerve cells in the spinal cord. As these neurons die, the body’s voluntary muscles weaken and waste away. Death within five years of diagnosis is common. The only approved treatment, riluzole, extends life expectancy by just a few months. About 90 percent of ALS cases are sporadic and 10 percent run in families. Mutations in the superoxide dismutase1 (SOD1) gene are found in about one-fifth of people with familial ALS, and for decades, experts have theorized that the gene holds clues to sporadic ALS. Laboratory mice carrying human SOD1 mutations develop signs of ALS as they age, and have been widely used to investigate the causes and potential treatments for the disease. Recent NIH-funded studies showed that astrocytes derived from these SOD1 mice are toxic to motor neurons. Astrocytes — lesser known than neurons and usually described as playing a supportive role — became prime suspects for killing neurons in ALS. At the same time, however, researchers have questioned whether SOD1 mice are useful— and whether SOD1 itself is relevant — for understanding sporadic ALS. Although dozens of potential therapies have shown promise in the mice, so far only riluzole has proven to help patients in clinical trials. Those results raised concerns that SOD1 might not be a factor in the majority of ALS cases after all. The investigators obtained post-mortem spinal tissue from ALS patients through the National Disease Research Interchange (NDRI). This is a nonprofit organization supported by NIH, voluntary health organizations and corporate and individual sponsors that enables people to donate their tissues for use in research after death, and then delivers specific tissues to research labs. NDRI performed the autopsies in the ALS patients’ local communities and used couriers to fly the tissue samples to Columbus. By working through weekends and often overnight, the Columbus team was able to process the samples in the current study within two to three days of death. First, the researchers isolated neural progenitor cells from the tissue and coaxed these cells to become astrocytes. Neural progenitor cells are the parent lineage of neurons and astrocytes. Next, the team combined the patient-derived astrocytes with mouse motor neurons. At first, the motor neurons grew normally, but after four days, they began to degenerate. By five days, the number of motor neurons was reduced by about half, compared to motor neurons that had been grown with control astrocytes. Similar results were seen when the motor neurons were grown with astrocytes from a patient with familial ALS, or with a cell culture broth that had been conditioned by astrocytes from any of the ALS patients. This suggests the astrocytes are releasing one or more unknown substances that are toxic to motor neurons. The researchers found that inflammatory responses may play a role in this toxicity. They analyzed 84 genes involved in inflammation, and found that 35-60 percent of the genes showed increased activity in ALS astrocytes compared to controls. Further experiments revealed that the SOD1 plays a critical role in the toxicity. The investigators used a method called RNA interference to silence the SOD1 gene. RNA serves as an intermediary between genes and proteins, but in RNA interference, small RNA fragments are used to block a gene from making proteins. When the researchers used a virus to deliver such small RNAs to astrocytes affected by familial ALS, the astrocytes were no longer toxic to motor neurons. 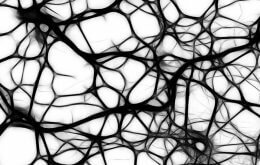 This method also suppressed toxicity in four of six astrocyte lines derived from people with sporadic ALS, supporting the idea that the SOD1 enzyme also has a role in sporadic cases. The results also suggest the need for further investigation of SOD1 and astrocytes as targets for therapy. For example, drugs or small molecules, such as the RNA fragments tested in this study, might be used to reduce SOD1 function in astrocytes and suppress their toxicity. Drs. Kaspar and Burghes are developing a viral system that would carry these RNA fragments through the bloodstream and into the spinal cord, and deliver them to astrocytes. This work is being done in collaboration with Don Cleveland, Ph.D., at the University of California, San Diego, as part of the Recovery Act grant. Several labs are pursuing cell replacement therapies for ALS, and the current work adds to evidence that replacing astrocytes may be just as important as, and perhaps easier than, replacing motor neurons lost to the disease. Amanda Haidet-Phillips, Ph.D., Mark Hester, Ph.D., and Carlos Miranda, Ph.D. — all current or former members of Dr. Kaspar’s lab — did much of the work in developing the new cell system and are lead co-authors of the study. For more information about ALS, please visit http://www.ninds.nih.gov/disorders/amyotrophiclateralsclerosis/ALS.htm. Reference: Haidet-Phillips AM, Hester ME, Miranda CJ et al. “Astrocytes from Familial and Sporadic ALS Patients are Toxic to Motor Neurons.” Nature Biotechnology, published online August 10, 2011.